Defining the key performance indicators KPIs for APIs being used is a critical part of understanding not just how they work but how well they can work and the impact they have on your services, users or partners. Some KPIs are ‘soft’ – your documentation, the formal definitions of how the API works, and others are ‘hard’ – focusing on the underlying functionality of the service being measured. As an API monitoring tool, APImetrics focuses on the ‘hard’ KPIs, and looking beyond the obvious ones that passive monitoring tools and solutions capture and at the critical numbers you need to focus on to understand how an API works and the impact that it is having on the services you deliver, integrate to, or provide. Multiple ways to measure APIs and the impact they may have on your services, customers and critical interdependencies. But outside of what you can measure with your current products. 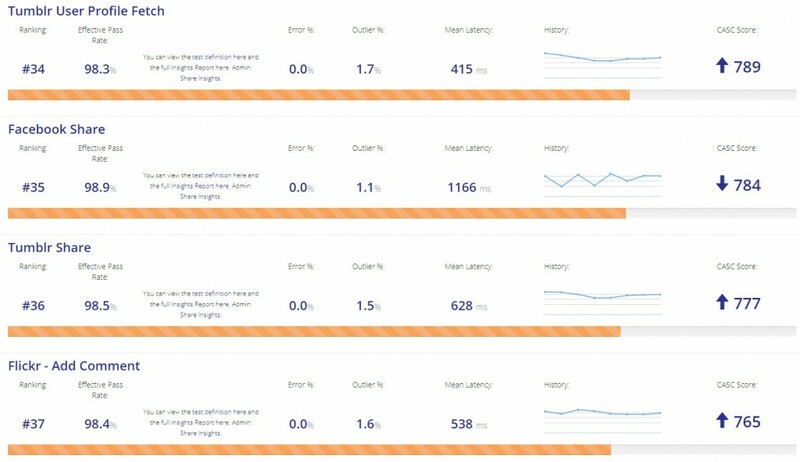 With active monitoring, we can control the queries and functionally validate what comes back and how it works, then score the API over time to measure how it stacks up to past performance, or even performance against other APIs in class. The pass rate is the actual measured success rate for an API call from a specific location. But APIs can pass at different rates from different locations. So don’t just assume that HTTP-200 means ‘All OK’. Just because your API gateway or APM stack logs show 200 codes doesn’t mean that everything is working well – or even at all. It’s entirely possible to have two APIs doing the same thing, but with wildly different effective pass rates. Even with a 100% pass rate, there may be events and performance issues that cause timeouts and other problems. You need to take into account the performance, including latencies and items that may affect end users. And each of these vary by geography. You need careful analysis to measure an API call and to identify the KPIs that might matter. A slow API might not be a problem. But an API that is slow only sometimes might well be. Systems measuring average performance can miss significant performance issues lasting many hours. This is why APImetrics uses CASC (Cloud API Service Consistency) scoring. It’s like-for-like comparisons between different APIs that show performance as a single, 3-digit score. A KPI which relies just on one dimension could be misleading and lead to measurement of the wrong things.